This week, I wrote a broad piece that touched on gaming history, the ways in which games age and the limits of re-releases and emulation. I’ve gone on record before about my ambiguous feelings towards patches and updates. I don’t mind the fact that games are evolving works but I do worry about the difficulty of preserving each iteration. It’s exceedingly hard to study a moving target and if entire features disappear in a patch, it’s unlikely that anyone outside of the developer and a few die hard fans will have direct access to the lost material. Additionally, it’s hard to quantify the impact things like specific controllers or screen technology have on an experience. 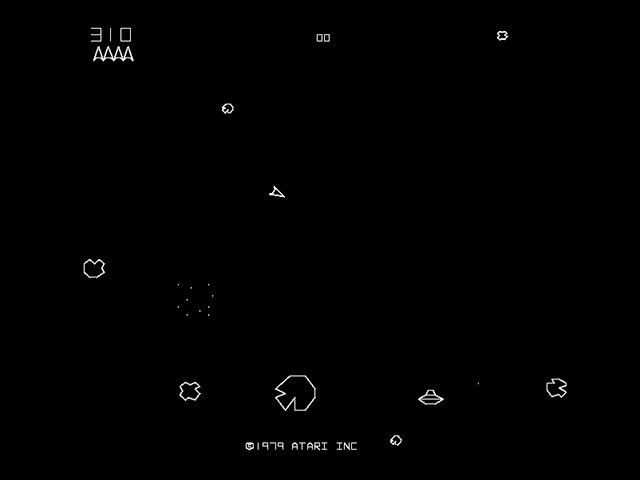 Just as seeing Star Wars on the big screen is different than watching it at home, playing Asteroids in an arcade is different than playing it on a computer screen. Although I am worried, I think I come off as a little too pessimistic about the current state of game preservation in the article. In addition to the legions of people working away in obscurity documenting material on the various gaming wikis, there are also academic endeavors such as Preserving Virtual Worlds dedicated to archiving gaming history. Even with their enthusiasm, they face an uphill battle. I’ve been spending a lot of time in libraries lately, and I’m always struck by the fact that I can pick up a book and experience it in basically the same way as someone who lived hundreds of hears before me; it might even be the exact same book. Because of the way technology and business work, I have a hard time seeing this happening with games. I share that same sense of unease. On some level, it's silly to worry about. On another level, it's a little depressing to consider that great and interesting works might eventually just vanish. Though I suppose Counterstrike 1.3 will lose the battle against entropy anyway. I wonder what would happen if developers were more forthright with the canonical versions of their games? Aside from Valve, it seems that folks on the creative side keep pretty quiet about the ideal platform for their work. I'm starting to think that the brute force method of archiving every single revision/version of the game is the only way to get at a "definitive" version. That way, people could freely play, discuss, and come to a critical consensus about various incarnations.